Loyal Poker Copilot customer Miguel unwittingly introduced me to Fluid. This is a nifty Mac OS X app that turns web apps into desktop apps. 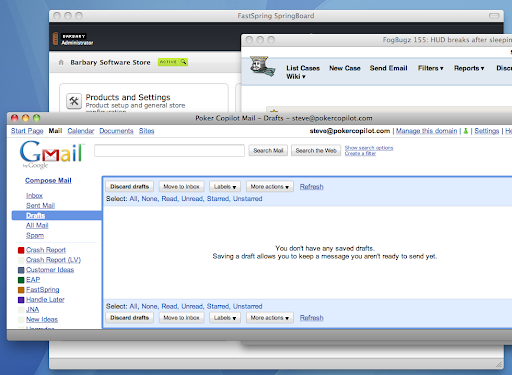 It solves a headache for me – rapidly switching between web apps and desktop apps to copy & paste or consult. It is a mixture of switching apps and switching tabs. With Fluid, each web app becomes its own desktop app – including a Dock icon.